Сейчас идет снег в Torgon-Les Portes du Soleil ?Thank you! Moderate rain (всего 10.0mm) в среду после обеда. Becoming colder with heavy fall of snow, heaviest в пятницу утром. Freeze-thaw conditions (максимум 8°C в четверг после обеда, минимум -3°C в пятницу утром). Wind will be generally light. A heavy fall of snow, heaviest в субботу вечером. Freeze-thaw conditions (максимум 2°C в понедельник после обеда, минимум -4°C в субботу вечером). Wind will be generally light. Таблица выше представляет прогноз погоды в Torgon-Les Portes du Soleil, сформированный для определенной высоты: 1945 m. Наши уточненные погодные модели позволяют дифференцировать прогнозы между вершиной, серединой и нижней точкой катания на склоне Torgon-Les Portes du Soleil. Чтобы переключаться между ними, используйте линки выше таблицы. Чтобы получить предоставление об изменении погоды в регионе в целом, попробуйте наши Погодные карты для Switzerland. 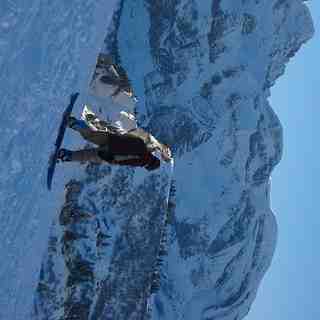 Torgon has really got it's act together and is now a smashing little starting off point for the whole Portes du Soleil. There is now a very regular navette to the main plain du croix ski area from the La Jorette village; something that was lacking in previous years. When the snow comes, it has to be one of the best places in the whole domain. Lots of relatively untouched powdery runs await. While Chatel, Avoriaz and Les Gets are easily accessible and not to be missed, some of the nicest runs are towards La Chapelle. When snow cover is poor, take the main Trenchey lift and head towards Chatel and beyond. There is a new restaurant that seems to be an upmarket steak house and in the old village, the hotel de Torgon serves nice Belgian beer. Beware that Torgon is very small and if it is closed for lack of snow early or late in the season there is not a lot to do! But if you have a car, you can still wind your way round the mountain to higher-up Champery and its cable car, so you will get some skiing. Torgon's relatively low altitude means this drive only takes about 45-50 mins. 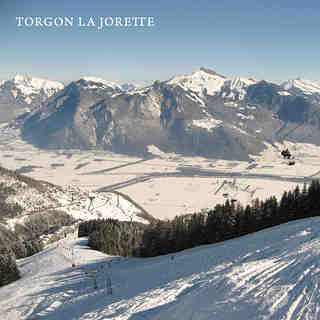 The Torgon-Les Portes du Soleil skiing weather widget below is available to embed on external websites free of charge. It provides a daily summary of our Torgon-Les Portes du Soleil snow forecast and current weather conditions. Simply go to the feed configuration page and follow the 3 simple steps to grab the custom html code snippet and paste it into your own site. You can choose the snow forecast elevation (summit, mid-mountain or bottom lift) and metric/imperial units for the snow forecast feed to suit your own website…. Нажмите здесь, чтобы получить код для HTML-страницы.